Amazing opportunity at mission-statement start-up based in Old St.. Launched in 2015, business proposition not only incorporates building drones on a day-to-day but also increase operational efficiency based on real world data in a digitalised context. High performing technology outfit with opportunity to learn from market leaders (CTO ex-Google); tech is predominately C++ and Angular but happy to look at engineers from all OO backgrounds. 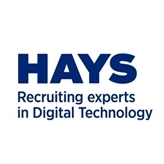 Direct report into CTO, senior member of the team and will have responsibility not only help lead technical direction but get involved in mentoring/coaching team-members - great op for any engineers looking to take a step-up into more of a managerial role. Has been listed as “Innovation of the Year” and “Best new Start-up” in given field. Currently looking to expand into San Fran (potential mobility opportunities in the future) ,unlimited holidays, about to enter Series A funding in January and unrivalled work/play hard culture. If you’re interested in this role, click ‘apply now’ to forward an up-to-date copy of your CV, or call us now. If this job isn’t quite right for you but you are looking for a new position, please contact us for a confidential discussion on your career.